Pina colada is a rum based cocktail known to initiate frivolous party hours! 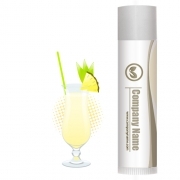 You can always feel the same mental satisfaction and smile frivolously by sliding a pina colada lip balm. 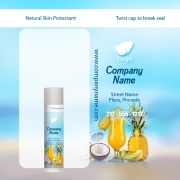 This custom pina colada flavored lip balm is recreated by involving several indigenous natural emollients and scents. This smooth and silky lip balm can be easily glided over lips, if you wish to overcome dry and chapped lips. 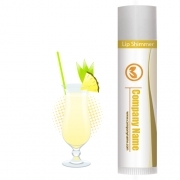 This emollients used in formulation helps to lock moisture over lips and banishes the demons of dryness.